Enjoy an Alaskan adventure. 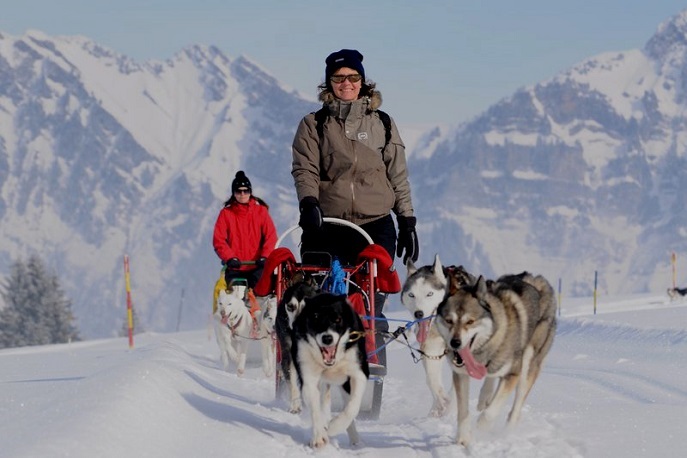 Be part of a Husky team and experience the wonderful pack animals very close. Huskies are able to pull nine times their own body weight and this has made them a very important animal as well as family member of the eskimos. 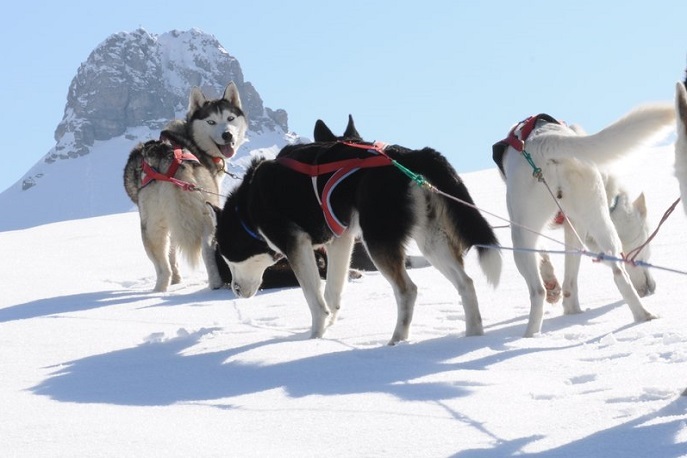 The dogs also have an exceptionally good sense of orientation which means they never divert from familiar paths even if these are covered by very thick snow. 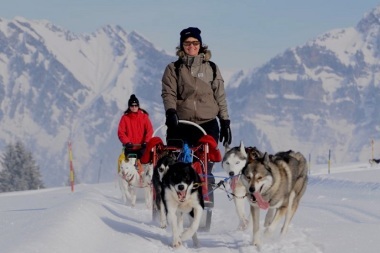 The sledge dogs are also very accustomed to humans and are sensitive and reserved with people. Great importance is attached to a basic training which ensures that the dogs can be safely led. Enjoy a beautiful winter landscape and wonderful silence far away from civilisation. Experience the exciting world of dog sledging! 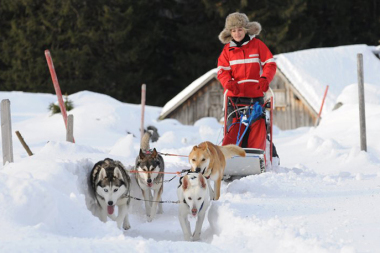 An introduction will give you the necessary skill and expertise for handling the dogs and the sledges. Under expert guidance, you will harness the dogs before you set off on your trail. Each participant will have the opportunity to steer his own team of dogs. And, if you stroke them before you set off (which they love), they will be even more motivated! After the fun is before the fun − after the husky trip you can enjoy a mulled wine aperitif or a delicious outdoor raclette or fondue. If you prefer cosy indoor warmth, we recommend a restaurant visit. Can be booked as a half day or day event and also in another region (at an extra cost). May also be combined with outdoor lunch, snowshoe tour or Winter Olympics. Winter sports clothing according to the onion peel principle. This allows us to put something on or off depending on the temperature.